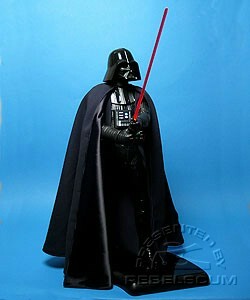 Comments: Tall and menacing, Darth Vader is the most potent icon of the Galactic Empire?s might. The prot?g? of the Emperor himself, Vader answers to only the highest in the Imperial command structure and is granted great leeway in the work he conducts on his master?s behalf. Once a Jedi, Vader possesses absolute command over the Force, and through him it is directed to terrible and often fatal effect. As a Lord of the Sith, The dark side flows through him, and it can be channeled to kill with a single thought or to subdue his detractors, enemies, and sometimes even subordinates. Feared by Rebels and Imperials alike, Darth Vader is a terrifying union of man and machine hidden beneath black robes and forbidding armor. Determined to hunt down and extinguish the Rebel Alliance, Vader commands the massive Imperial fleet and rules his forces through unquestionable terror. 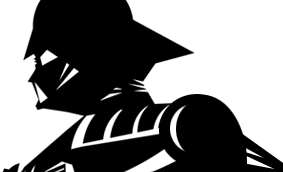 Roll over image above to take Darth Vader for a spin!! Sideshow Collectibles? 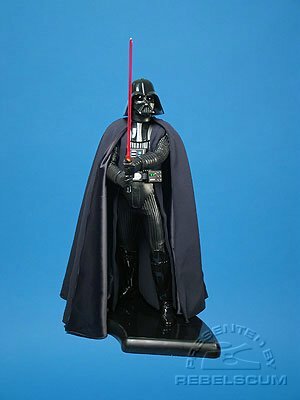 Premium Format Darth Vader Figure is a museum quality 1/4 scale reproduction of the Dark Lord?s appearance in Star Wars: A New Hope. The multi-layered costume combines expertly tailored clothing with a body and armor cast in heavy-weight polystone and other mediums, each chosen to best represent the original costume. The lightsaber, chest and belt panels feature electronic light function. Each figure is painted, costumed, and assembled by hand, and held to the highest quality standards.